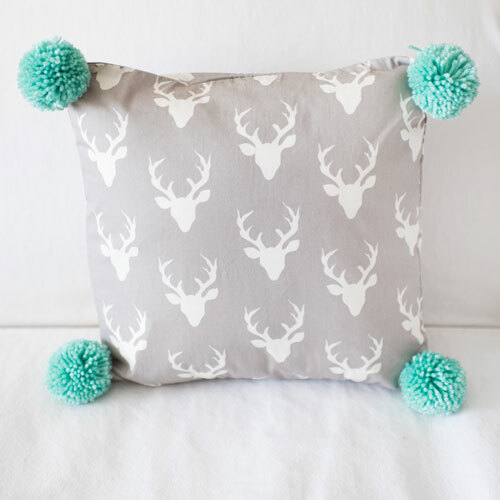 This fun gray deer crib bedding rail cover set is sure to bring a rustic feel to your nursery! 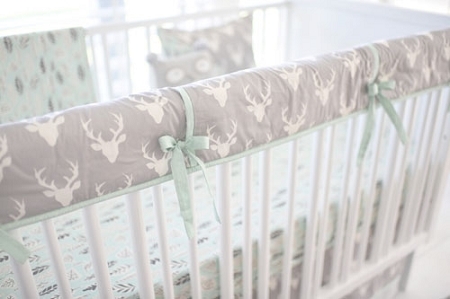 Our Buck Forest in Mist Crib Rail Cover Collection features an adorable deer head pattern with accents in mint. 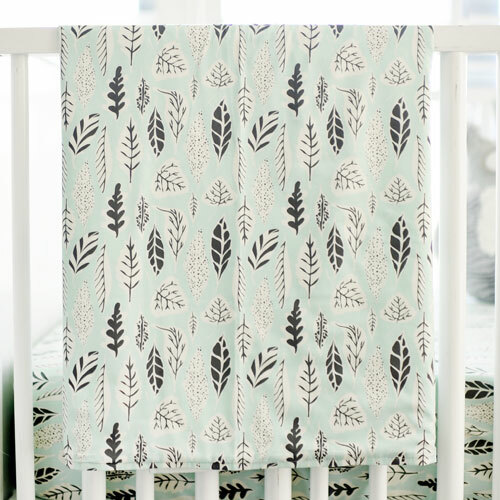 A perfect crib set for a woodland nursery. 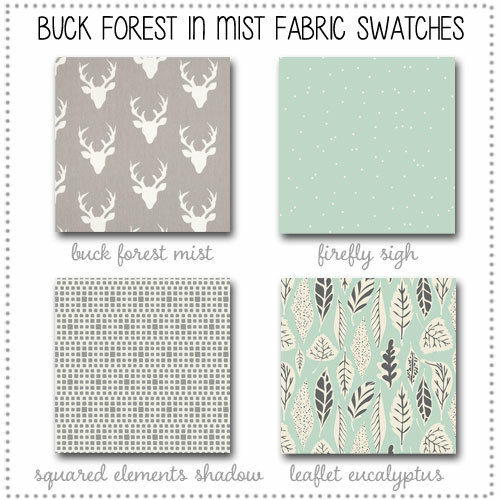 Select from two different crib sheets: Buck Forest in Mist or Leaflet Eucalyptus. 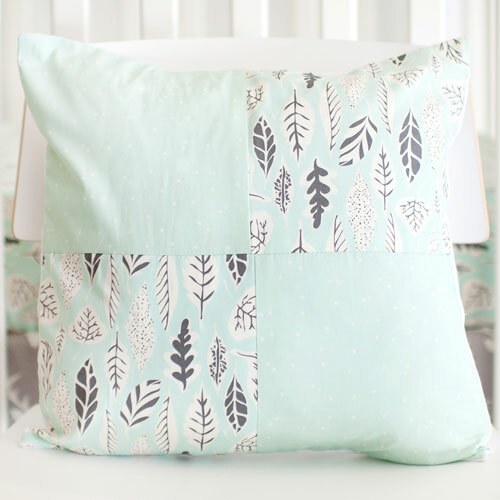 Additional crib sheets are available for purchase separately. 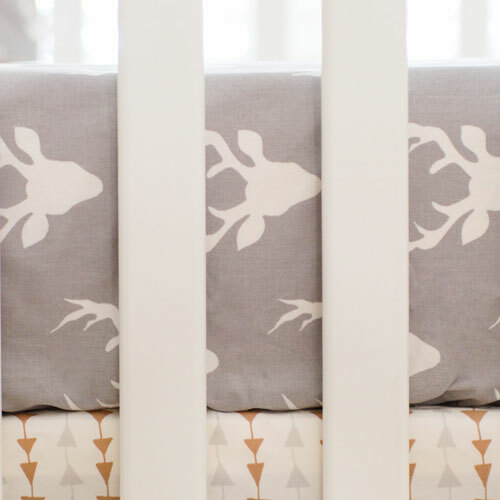 Tailored crib skirt is pleated and accented with fabric bands. 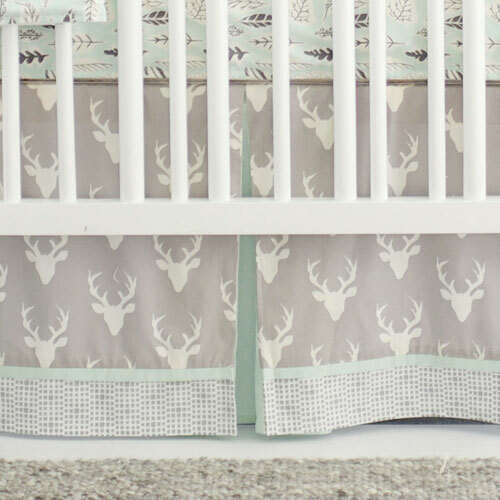 Our padded Crib Rail Covers are a great option for bumperless designed deer baby bedding, and will keep your baby from chewing on the crib. 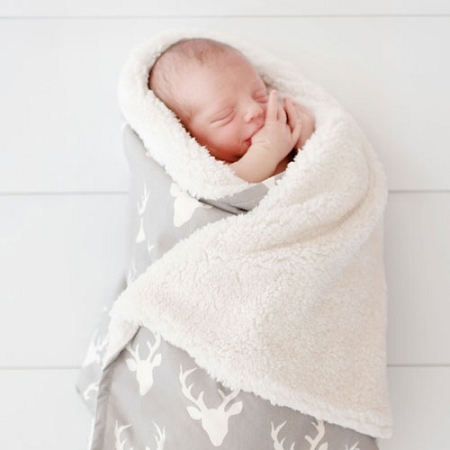 See all of our Deer Crib Baby Bedding collections available in several styles and colors. • Deer Crib Rail Cover Dimensions: 51” long by 11” deep. • Tailored Pleated Crib Skirt drop length is 17". 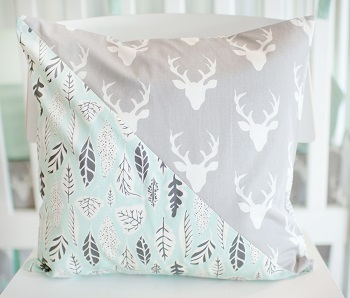 • Deer Crib Blanket is 36" by 36" and backed with flannel fabric. 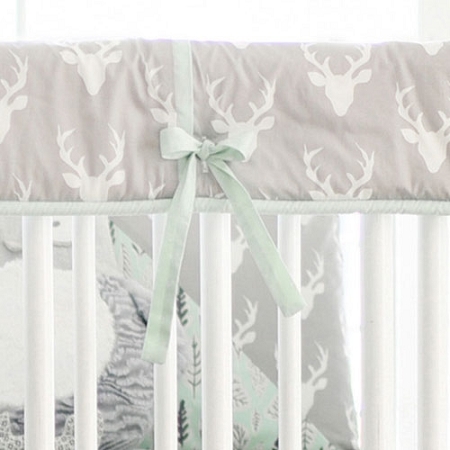 If you prefer a crib bumper for this set, please see our gray and mint deer crib bumper. 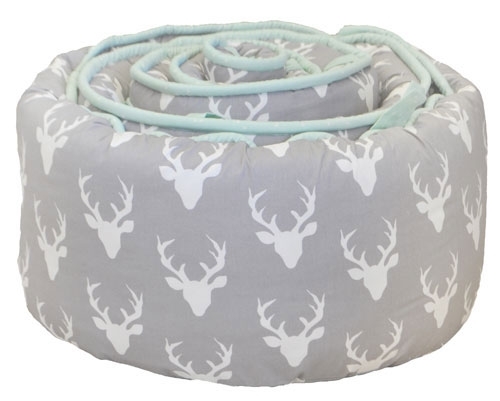 Coordinate your deer crib bedding with accessories shown below.